Formatting hard drives and external hard drives is usually a fairly straightforward process. The two most popular operating systems, Windows and Mac OS both have formatting utilities built-in, which makes formatting external drives even more convenient. However, with all of the different drive manufacturers, interfaces and other compatibility and formatting issues that hard drives can have, sometimes the best choice is to use specialty formatting apps and utilities. simply format and partition external drives. However, there are times when it simply doesn’t cooperate very well. For example, the drive that you are trying to select for formatting may not be recognized by the utility, or it may be greyed out and not clickable. If you are unable to get a hard drive formatted or partitioned correctly using the built-in apps that are offered by Microsoft and Apple, then your next step may be to try and format the drive directly, using command line. If you’re comfortable using command line, then you may want to check out our guide on how to format external hard drives to FAT32. Additionally, your computer may not recognize the external hard drive whatsoever. If this is happening, this guide may be useful. In those cases where a hard drive is simply not formatting, partitioning, etc… you may want to consider using a specialty hard drive formatting utility, which will often times make things simpler. In many cases, these utilities are often more effective than the built-in options that Windows and OS X offer as well. If you need to manage partitions, copy partitions or even create boot disks, EaseUS Partition Master Home Edition is an excellent utility that can handle all of that and more. Currently one of the highest ranked hard drive utilities on download.com, this lightweight Windows app is a bit more intuitive than the built-in Windows Disk Management function, offering several additional options and features. 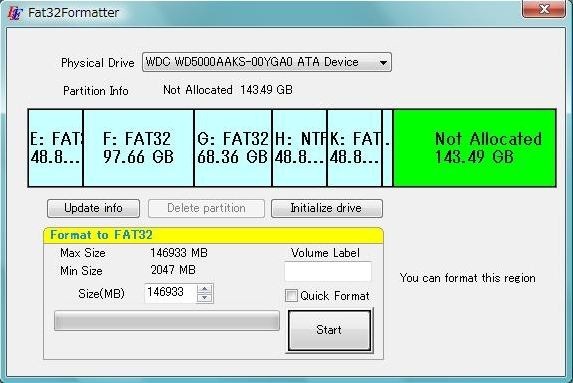 If your objective is to format a hard drive to FAT32, then you may want to give Tokiwa Fat32Formatter a try. This utility was actually recommended by several of our site visitors in the comments section of one of our more popular posts. Several site visitors have noted that this utility has been successful at partitioning to FAT32, when other programs would not work or not recognize the drive. For more advanced disk formatting options, particularly with Western Digital brand external hard drives, you may want to use the WD Align software for drives that aren’t formatting using Windows built-in options. Most of the advanced features and formatting options with Align revolve around optimizing the drive for speed and compatibility with newer operating systems. 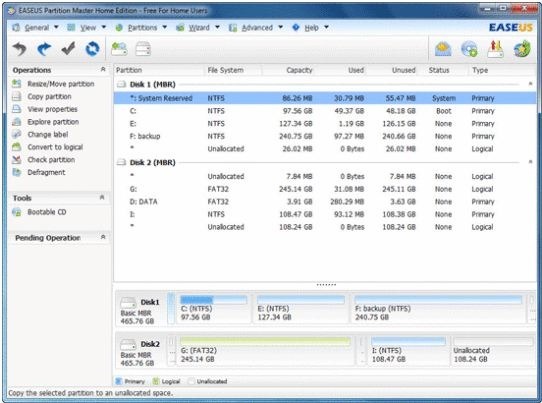 Partition Wizard is a freeware disk partitioning and formatting utility that is simple to use and effective. The interface is quite straightforward and the software is excellent at making complex formatting options simple. While the other software on this list focus specifically on external hard drive formatting, the HP Disk Storage Formatter specializes in USB devices such as flash drives. This ultra simple formatting utility has just a few options, but it is effective and has received some great reviews. Overall, the formatting utilities that are offered by Windows and OS X will format hard drives, but there may be cases when they will fail to format a hard drive correctly. The next option is to use command line, but that’s more complex and not for everyone. 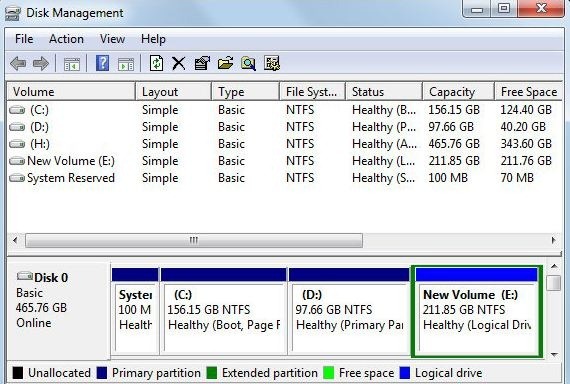 Using the variety of hard drive formatting and partitioning utilities featured in this post, you should have no problems getting hard drives or even USB flash drives formatted correctly. Thank you for stopping by the site.